Parents enjoy remembering the different stages of a child’s life. 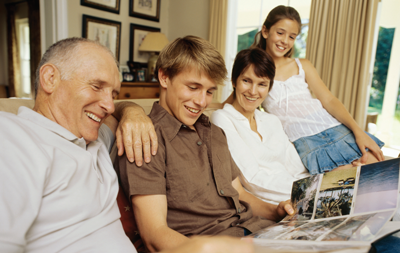 Taking pictures and putting together photo albums is a favorite activity of a parent with young children. Remembering, however, is more than just the fun of looking at enjoyable times and the cute faces of our children. Memories tell us where we come from, what we stand for, and how far we have come; they tell us which values are abiding over time. In this week’s Torah portion Moses keeps a written record of the progress of the Israelites wandering through the desert. Each stage of their journey is written down. In this way the Israelites could always see where they came from and how far they still had to go. They literally “knew where they stood”. It’s important to talk to your kids about your own memories of growing up and what you’ve learned along the way. At the same time, help them develop their memories by listening to them carefully when they start a sentence, “Remember when…”. It’s interesting to note what they remember and why. Memory is an important tool in the journey of childhood on the way to adulthood, a gauge of our lives telling us where we come from and who we are along the way. TALK TO YOUR KIDS about memories you have of growing up, in particular what you were like at their age and what you’ve learned from your parents and grandparents. What is the importance of memories? Whom do you want to remember? What have you learned from family stories you have heard? 1: Parshat Masei: A Biblical Case Study on Urban Planning? !